You'll receive an email to confirm your email subscription before we send you more information about our canyoning in Switzerland adventures. If your style of travel is adventure travel, then THE STEEP AND DEEP CANYONS IN SWITZERLAND should already be on your list of places to go. Hiking, swimming, jumping, sliding, and rappelling through natural and wild canyons in the Swiss Alps. Sounds adventurous -- Well It is! 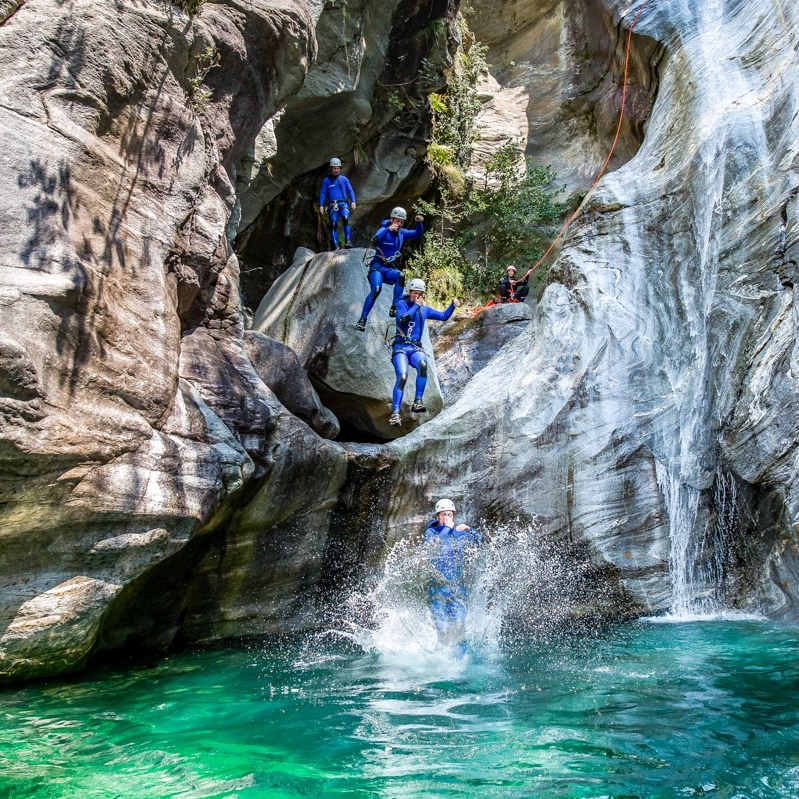 Ticino is a region in southern Switzerland that is known for world class canyoning. 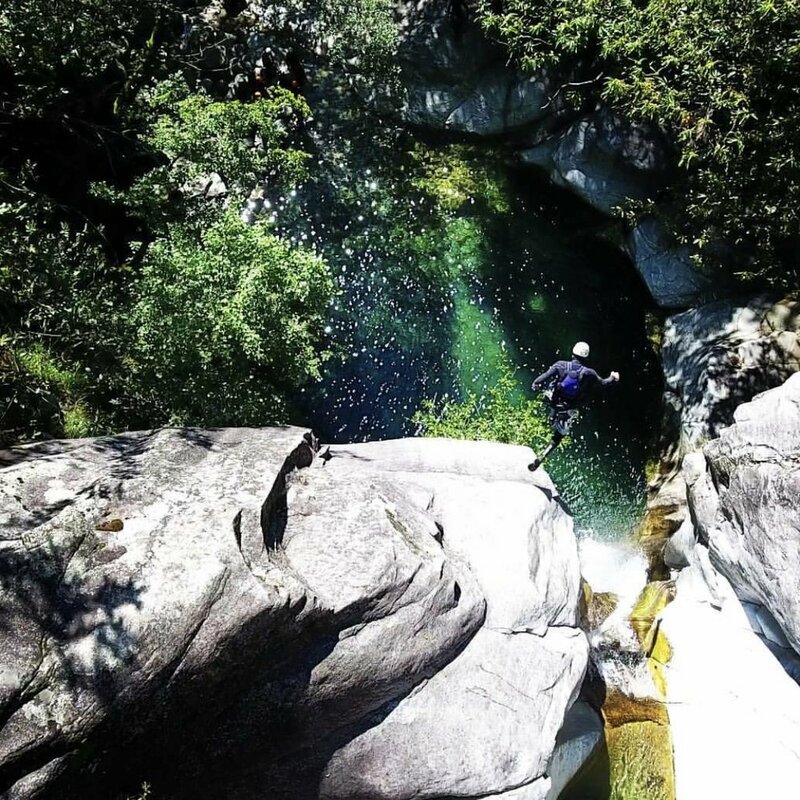 We offer a variety of Ticino canyoning trips departing daily that range from beginner to 'nerves-of-steel' extreme. In addition, you can raft, SUP, or bike around this region, all with certified and professional guides who provide all of the necessary information, assistance, and technical equipment. *These tours require no prior experience. *These tours are suitable only for athletic individuals with rappelling and canyoning experience. *These tours require that you have mastery of active rappelling and have been canyoning with us in the past or complete an abseil training with us before the tour. Want to go canyoning but unsure of which canyon to choose? Send us a message using the form below. We will help find the best trip for you. Congrats on taking the first step toward a life-changing experience canyoning in Switzerland! We will contact you shortly. If you do not hear from us, then please check your spam email folder to make sure our reply has not been mistakenly sent to wait, sad and alone, in the vast cyber-jungles of a spam folder. Looking to hear more about canyoning? Join our newsletter. You'll receive an email to confirm your subscription before we send you more information about our canyoning adventures. We hope to create life-changing stories with you in Switzerland.